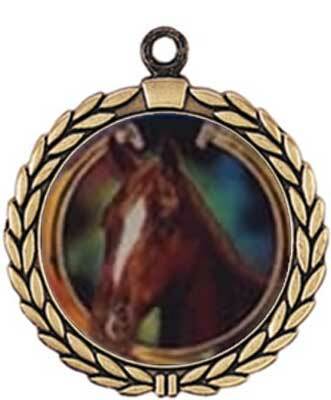 Equestrian medals and rodeo medals may be purchased with or without ribbons. 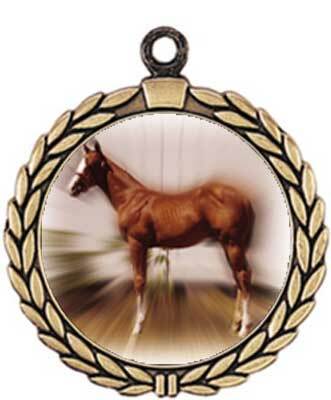 We can engrave on the back of the eguestrian medals and rodeo medals. Most medal orders are shipped in 5 to 7 working days. 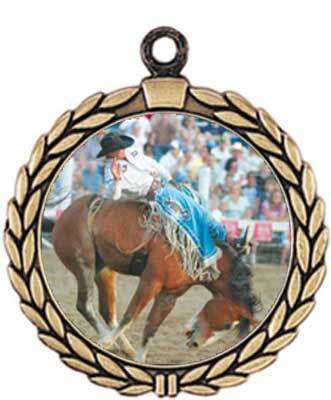 For more information on an equestrian medal or rodeo medal click a link below.